If you are using BBQ rub, apply it now. 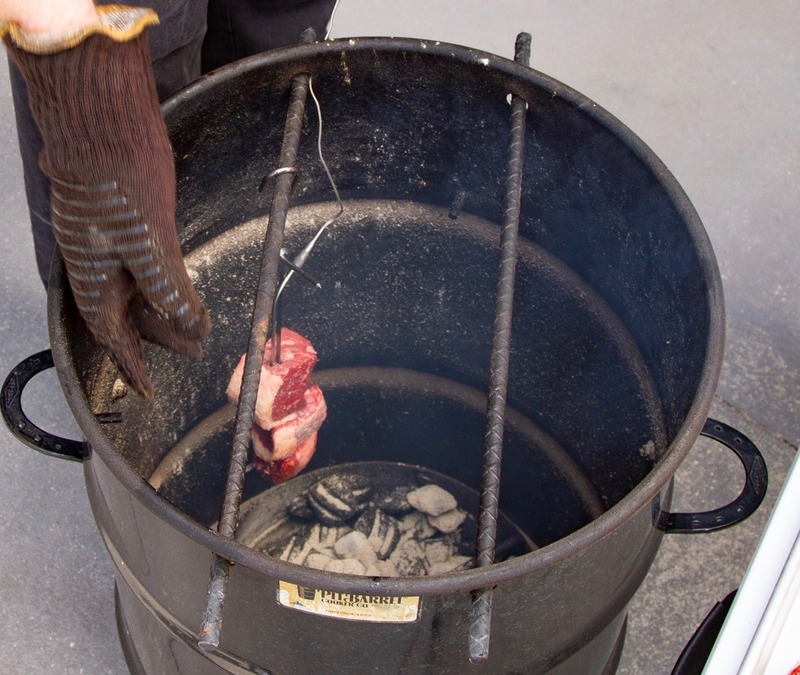 Insert the probe from the Smoke into the thickest part of the meat and hang the skewers in your cooker, threading the probes through the hanging-bar holes. 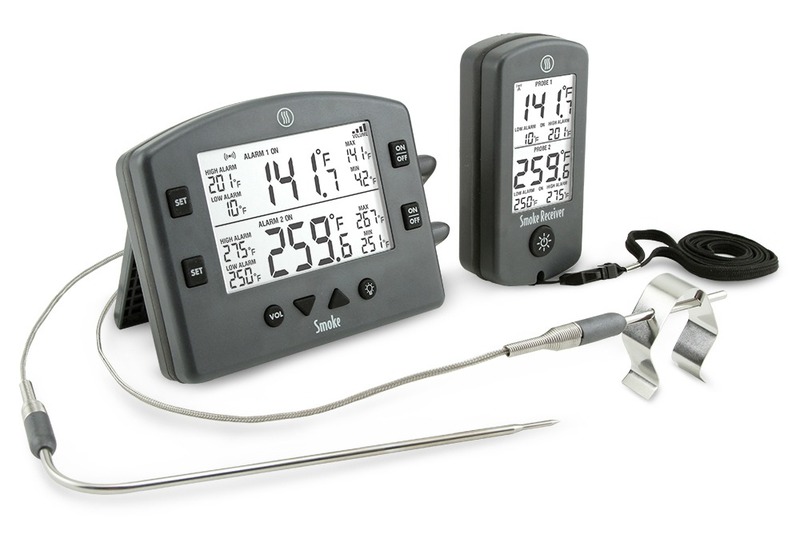 If you’re grilling, place them on your grill, using good probe-cable management techniques. 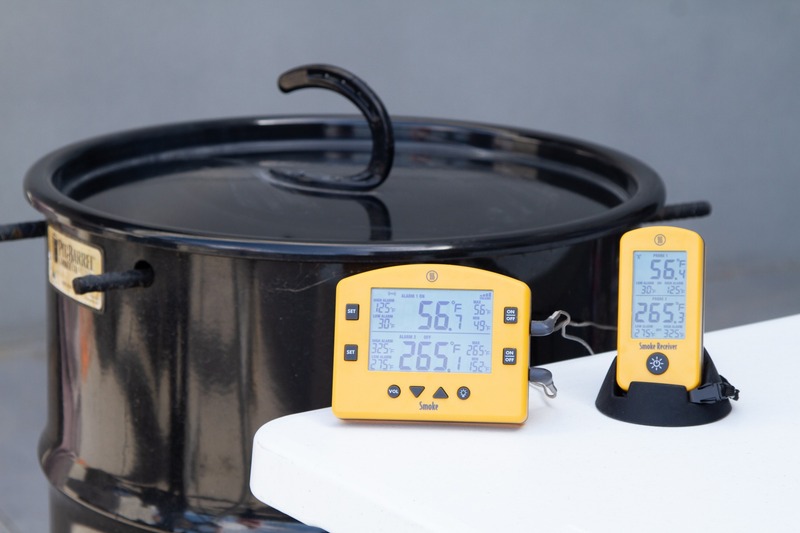 Set the alarms on your Smoke: the high alarm on the meat channel to 125°F (52°C), the low alarm on your air channel to 275°F (135°C), and the high alarm on the air channel to 325°F (163°C). Close the lid and let them cook. 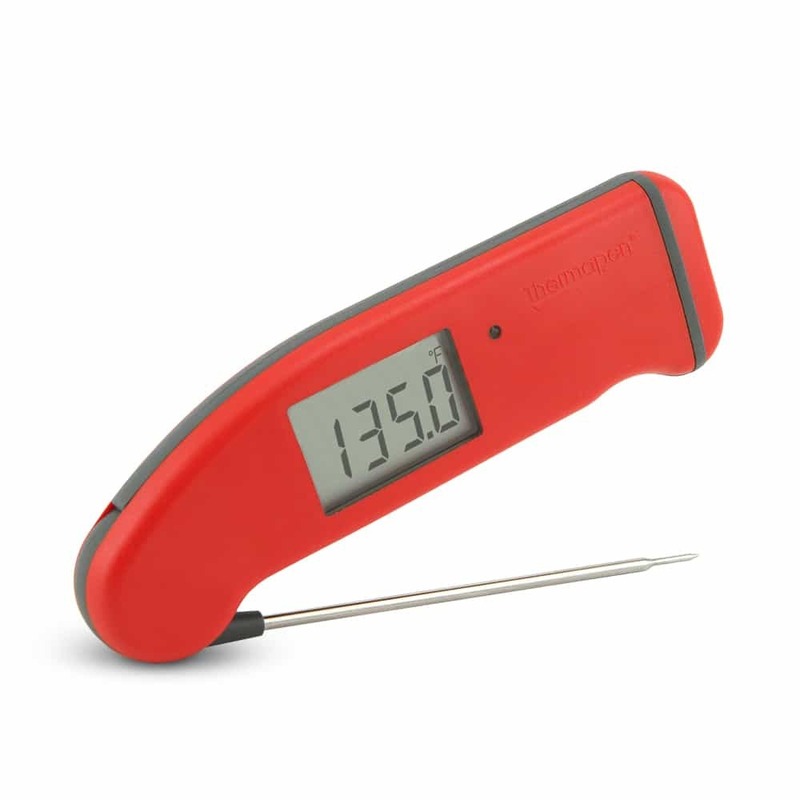 When the Smoke alerts you that the target temperature has been reached, verify it with a Thermapen Mk4. 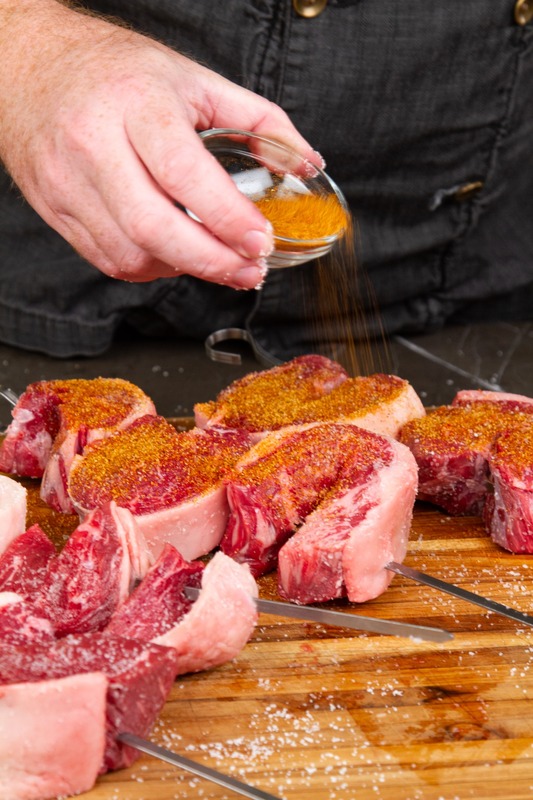 Allow the meat to rest for a few minutes, then carve the meat directly from the skewers with a sharp meat slicing knife. 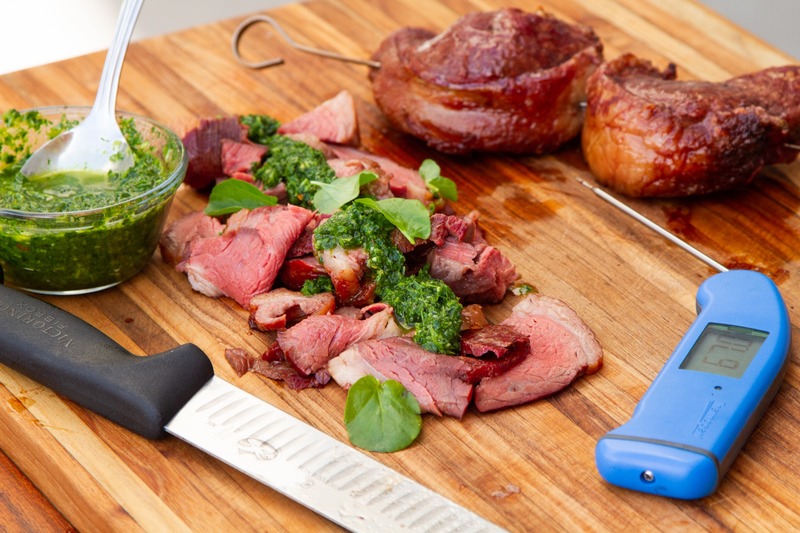 Serve the mound of meat with chimichurri and stand back to receive the accolades. The picanha steak is one that I’m glad is gaining popularity in the States. For big, beefy flavor, and juicy tenderness, it packs quite a bang for the buck. And it’s just fun to cook and eat. By splitting the whole roast up into smaller pieces, you get a platter of medium-rare sirloin roast in the time it takes to cook a couple of steaks. 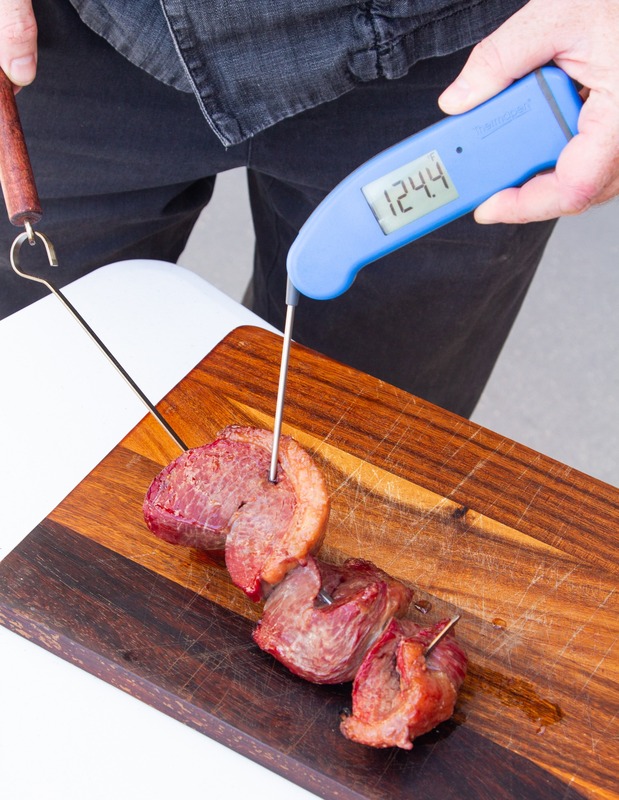 And you’ll know it’s medium rare with the help of your Smoke and Thermapen Mk4. Pick one of these delicious roasts up from your local butcher. Once you try it, picanha steak may well become one of your favorite cuts! Where is the chimichurri sauce recipe? I recommend the one on howtoBBQright.com that is linked to in the recipe. It’s a winner! Can’t wait to try these soon! 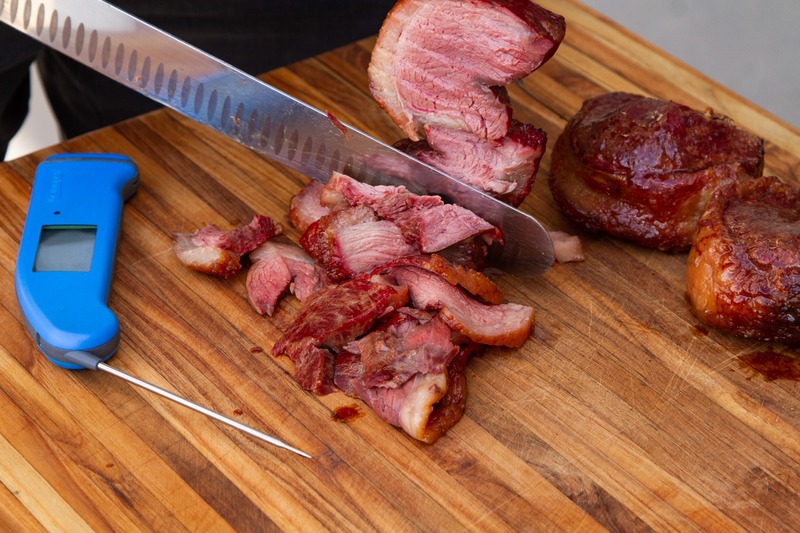 If you are using say a Weber kettle indirect, is it of any benefit with Picanha to cook them at the 300 degree temp and when you are about ten degrees away from the pull temp, move It over and sear it directly over the coals? That would work great! Go for it! Thanks for an excellent, thorough article! Do you have a recipe you could suggest for the chimichurri? There are lots out there but some not so good! The one one HowtoBBQright.com that I took the picanha recipe from is very good. How about doing some Lamb? I would to see you do a Lamb shoulder on the PBC just like a pulled pork. We’ll keep that in mind…I’d love to do one that way! Or you pre-sear a minute a side, then sous vide at 134F for 7 hours, take out, pat dry and sear on a very hot cast iron skillet for a minute a side. Perfect medium rare edge to edge. I LOVE picanah. I recently had a Brazilian style grill custom made to skewer meat over charcoal. Picanah has been one of the biggest hits of anything I’ve made so far. I challenge people, though, to just try it with salt only and no sauce. The fat melts in your mouth and salt works miracles, you don’t need anything else with it. I also do flank steak over the coals, that one is great with the chimichurri sauce. I envy your grill! And you are right that cooking it with just salt is amazing. Happy cooking!